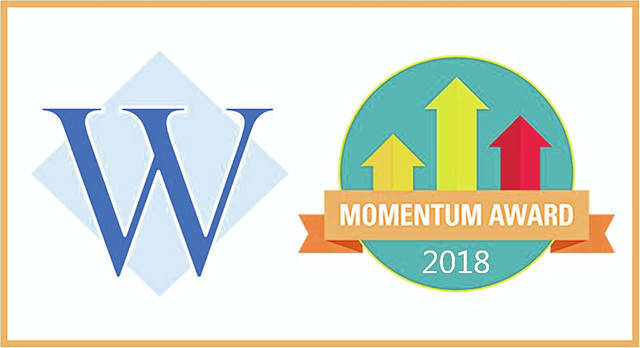 The Washington Court House City School District has earned the Momentum Award from the state of Ohio. The Momentum Award is presented by the state board of education and recognizes schools for exceeding expectations in student growth for the year. Schools must earn straight As on all Value-Added measures on the report card. The school or district must have at least two “Value-Added” subgroups of students, which includes gifted, lowest 20 percent in achievement, and students with disabilities. WCHCS was one of only 70 districts out of over 600 in the state to earn the district-wide award. “I also congratulate you on recruiting and motivating the high-quality leaders and staff needed to make this happen,” said Elshoff. Ohio’s strategic plan for education, “Each Child, Our Future,” is the state’s plan to ensure each student is challenged, prepared and empowered for their future by way of an excellent pre-kindergarten through grade 12 education. 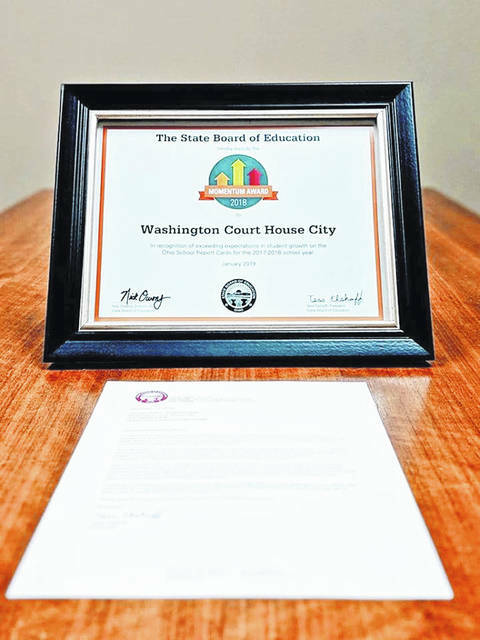 “Your education team, however, has clearly embraced this challenge,” Elshoff praised WCHCS. Additionally, the school announced on Wednesday that Washington High School (WHS) and Belle Aire Intermediate will be holding parent-teacher conferences on Thursday from 4 to 7:30 p.m. Parents and guardians are encouraged to come and discuss their student’s academics, as well as get to know the school’s staff. For more information, contact WHS at 740-636-4221 and Belle Aire at 740-335-1810.